A bridge in western Venezuela connecting the beleaguered state with neighbouring Colombia serves as a daily microcosm for the ongoing exodus of Venezuelans from their homes. A constant flow of Venezuelans enter Colombia on foot via the Simon Bolivar International Bridge, with countless others crossing the border unofficially through smuggling routes and other potentially more dangerous channels. 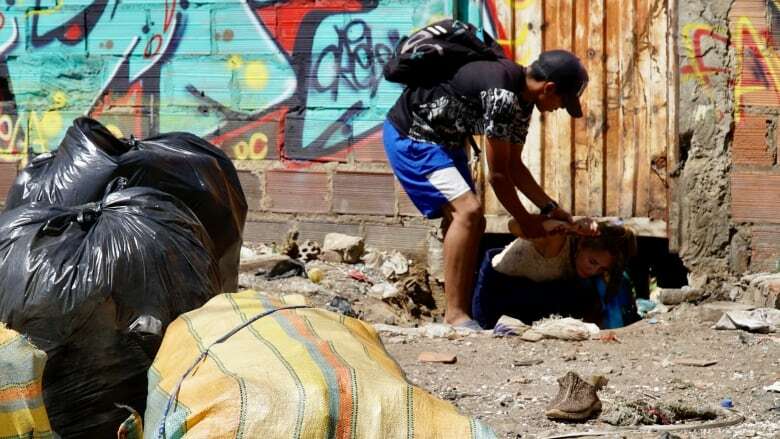 The United Nations International Organization for Migration (IOM) estimates that 2.3 million Venezuelans have fled since 2014 as a result of severe inflation and food shortages. One expert, citing contacts at the IOM who say that estimate is "very conservative," believes the crisis will become much worse. "We know that thousands leave every day, so if you do the math, I think if we're not there [yet], we'll be at the same scale of the Syrian displacement quite soon," said Feline Freier, a professor and researcher at the Universidad del Pacífico in Peru. "Although some governments in the region still choose to frame this whole issue in terms of economic migration, we're not talking about economic migration. We're talking about forced displacement. These people leave Venezuela because if they do not leave, they don't survive." Food and medicine shortages are rampant under President Nicolas Maduro, whose administration has refused to accept international aid thus far. "The stories I was told already in May were that people had not eaten anything but cornstarch for months, cornstarch mixed with water. 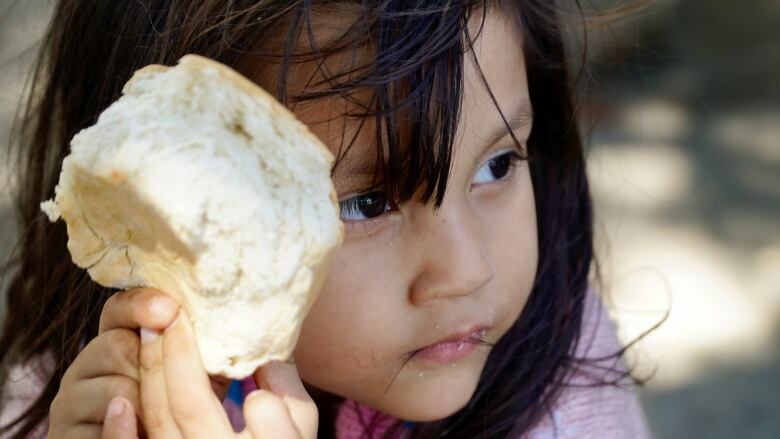 For many, plain rice was a luxury," Freier said, referring to interviews she conducted with Venezuelan families who had migrated farther west to Peru. "Women who can't breastfeed also give their babies cornstarch mixed with water, which leads to malnutrition and starvation in many." At a special meeting of the Organization of American States last week, delegates from Mexico, Brazil, Colombia, Peru and the United States called on Maduro to accept food and medical supplies for his country's most vulnerable people and allow international aid groups to work in the country. A Venezuelan diplomat at the meeting ignored these requests, saying that the discussion on Venezuela's migrant crisis is part of a U.S.-led plot to justify an invasion of his country. On Sunday, Venezuela's foreign minister accused the U.S. of seeking an intervention and supporting military conspiracies following a New York Times report that U.S. officials had met with Venezuelan military officers to discuss a coup plot. The bridge outside of Cucuta is a major choke point for the influx of Venezuelans into Colombia. While Venezuelan professionals such as doctors and engineers have found work in Colombia's big cities or its oil industry, the bulk of the poor have settled in border towns. Others continue farther west toward Ecuador and Peru. Initially, neighbouring countries facilitated the arrival of Venezuelans by granting temporary work and residence permits. But as the exodus has grown, some have tightened entry requirements; in response, OAS member nations urged Venezuela to provide passports and other travel documents to Venezuelan citizens who want to leave. That request is counterproductive, according to Freier. "It is impossible for Venezuelans right now [to get a passport] because of corruption and because of the lack of material and basically the collapse of the state," she said. "That will only lead to more irregular migration within the region." Freier recommends that South American nations reinforce the regular migration channels to mitigate the dangers facing those forced to forego the official checkpoints — especially along the Colombian border. "We have a problem with paramilitary groups, we have a problem with human trafficking, we have a problem with labour and sexual exploitation, we have a problem with children being recruited for child-mining," Freier said. "We need political or economic pressure on the Maduro regime and we also need for our regional governments to get together and think about how to manage the flows on a more technical and pragmatic basis." Watch more of Adrienne Arsenault's coverage from Colombia tonight at 10 p.m. ET on The National.